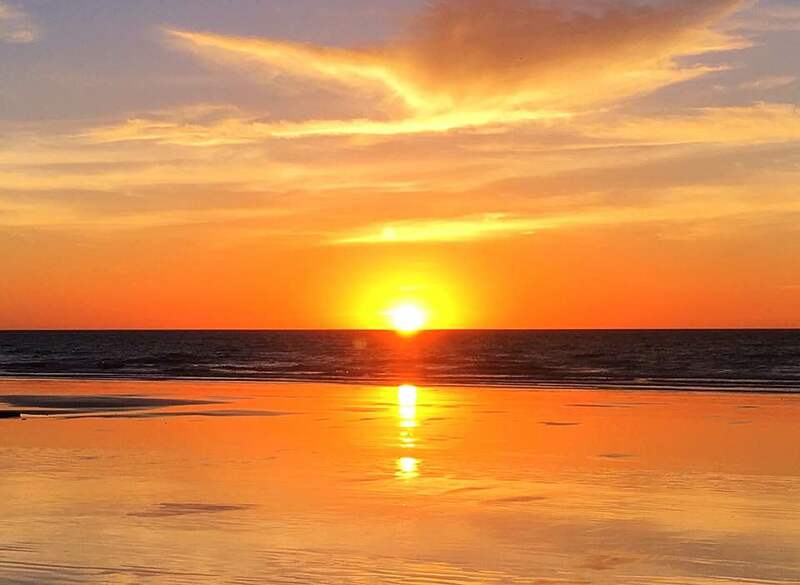 How do you spend anytime in Broome without putting a sunset camel ride on your bucket list and ticking it off. Where else in the world could you do such a thing ? Take a peak at some of the snaps taken today. There is so much to do in and around Broome and so many truly incredible places to visit. Check out a few idea's here. Make the time to create a plan before you come. The peak season for Broome is May to Sept and we arrive 23 Sept; so towards the back end of their peak but the start of school holidays so it could be busy. I wouldn't recommend you wait too long. Whilst the Mecure will be the HUB for the support team and we will stage a function at Matsos just across the road riders are free to stay anywhere they wish and of course to bring family. Take a look at a few options here. From what I understand, Cable Beach maybe more pricey but if it's all about the beach then stay in Cable Beach. If it's more about a town HUB then head to Broome. They are only 4 K apart yet significantly different in price. Cable Beach is truly iconic; I cant imagine another beach like it anywhere in the world. Town Beach is located in Broome and really just an access point to a stunning bay. A special thanks to the boys behind TourXOz who engage entoure to manage the logistics of TourXOz. It's a huge task and a real honour; this is no ordinary cycle tour; this is a life changing experience from start to finish; for the people the event will fundraise for and to every participant and supporter who comes along. So too Neil Jackson, Gary Denman and Stefan Jansen a very big thank you and congratulations. I have had a ball mapping out the 2017 event and I look forward to now pulling it all together. Its going to be MAGNIFICO. PS: special thanks to Michael Tomalaris (AKA Tomo) who has entertained us throughout the reconnaissance and will now doubt do so throughout the tour. Michael is the voice of cycling here in Australia and a news presenter / journo for SBS and highly regarded all over the world. One of the nicest guys you could ever meet. Michael will bring his genuine passion of cycling to the event and a tremendous insight into the world of cycling but also as a spokesperson for the Black Dog Institute as the event draws near; having someone of Michael's caliber in the event is a real testament to the quality of the event and to be able to include him in the banter that goes in and around events of this nature is priceless.